We highly recommend an arrival by train. A train from Vienna leaves almost every 20 minutes, starting from Franz Josef Bahnhof, Spittelau or Heiligenstadt. Pleace notice, that Tulln has 2 train stations: Tulln/Donau and Tulln/Donau-Stadt! 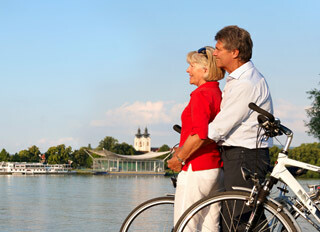 Tulln/Donau-Stadt has a shorter walking distance to the city's center, aproximately 10 minutes walk. A walk from the main station (Hauptbahnhof Tulln/Donau) to our festival site will take 15 Minutes. The S-Bahn will halt in Tulln/Donau-Stadt, but not the Regional-Express trains (REX). All trains do halt at Tulln/Donau. Traveling by REX takes 22 minutes, by S-Bahn ca. 40 minutes. Durings weekends you can also take a night bus from Bahnhof Tulln/Donau to Klosterneuburg and Vienna. Nearest parking will be at the parking deck at the crossing of Nibelungengasse and Albrechtsgasse; the parking site at Nibelungenplatz (siehe Satellitenbild) and an underground carpark at the Hauptplatz. Walking distance from all these parkings to our festival site will be app. 2-5 minutes. Please download or watch an area map here, depicting all carparks and festival entrances. The so calle 'Treppelweg', a bicyle route along the shore of the river Danube, is one of Europe's most beautiful routes you may find. It runs from Passau (Germany) to Bratislave (Slovakia), directly passing our stage. Considering this, a bicycle tour to our site migh be as well considered. Arrival from Vienna may take about 2 hours, depending of course on one's condition. 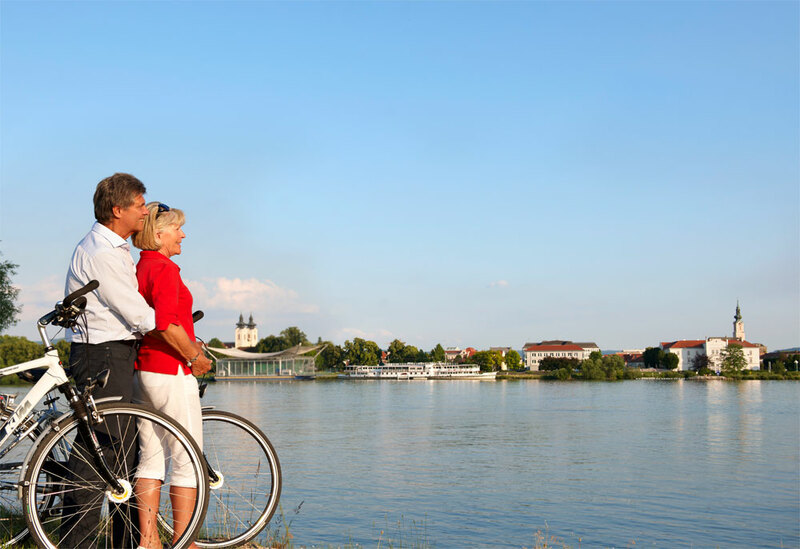 Since Tulln has specialized in bicycle tourism, you will find a multitude of B&Bs. Further information on routes, accomodation and maps you will find following this link. Offers on all interesting places to visit in Tulln you will find on the city's internet-site TULLN ERLEBEN and in our homepage's navigation bar on the left of this page.